How to Split PDF to Single Pages or Smaller PDF Files? 1. How can I split a PDF file into single pages? I have a PDF file that includes 20 pages. I want each page to be one separate file. Is it possible. Yes? How? 2. How can I split a PDF file into separate PDF files? I have 20 tickets sent to me all in 1 file. I need to split them up. Thanks. 3. How to split large PDF document into two smaller PDF documents for emailing purpose? I tried to attach a large PDF document to an email message but got an error message saying it was too large. So I must split it into two files, renaming each one such as part one and part two. 4. How to free split PDF file by pages? Is there any programming way to split PDF into pages, say one PDF file per page or specify page range to split PDF file? This article provides two methods for splitting PDF files. 1. 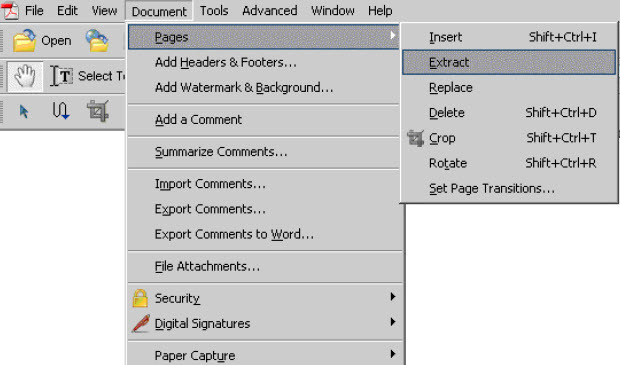 Open the PDF document that contains the pages you want to extract. 2. Select Document > Pages > Extract. Then, an Extract Pages dialog box will appear, and you can specify a range of pages by entering page numbers in the From and To fields. 3. Click the Delete Pages After Extracting checkbox if you want to delete the pages from the original document after they are extracted. If you do not want to delete the pages from the original document, leave the box unchecked. Then click the OK button to extract the pages. The extracted pages will open as a new document. 4. Select File > Save As and then specify a filename and location where you want the extracted pages saved as a new PDF document. PDFMate Free PDF Merger not only helps to merge multiple PDF files and even image files into huge PDF file, but also split huge PDF into smaller PDF files or even single pages. Download Free PDF Merger, then install and launch it. And you can finish the PDF splitting process within clicks. Click “Change Page Range” or right click the PDF, then you can specify page ranges in the pop-up window. - Check "Open Password“, you can set password for opening PDF for accessing and reading your PDF files. - Check ”Permission Password“, you can set password for PDF processing actions like editing, copying or printing. With these settings, you can output confidential PDF file with high security assurance. No one could read or process your PDF file without your permission. After inputting a name for your PDF file in "Output File Name" and defining the output path in "Output Folder", just click on ”Build“ button. Then this Free PDF Spliter and Merger will do the rest for you. When conversion finished successfully, a window will pop out and show you the exported PDF file location. 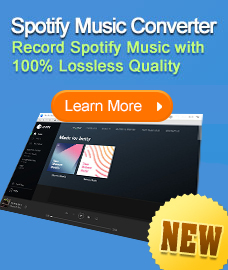 Want to split iTunes M4V video for further editing? Try M4VGear DRM Media Conveter. It allows you to clip iTunes video by setting beginning and ending time.